“The economic boom is the biggest story of the year because it has improved our economic health, and well-being, and prosperity,” Kudlow said. As a top economic advisor to the White House, Larry Kudlow is optimistic about the state of the U.S. economy, which recently has shown steady improvement in terms of job creation and growth. And he has a prescription for how to keep things humming: government actions should not impede business, particularly small business, in their attempt to compete globally. That’s a key message from Kudlow’s appearance at the Securities Industry and Financial Markets Association’s (SIFMA) Annual Meeting in Washington D.C. on October 2. In a discussion centered on the Trump administration’s economic priorities, Kudlow, assistant to the President and the director of the National Economic Council, said the, “economic boom” is the story of 2018. In support of his argument, Kudlow cited various economic measures as proof, including the increase in small business ownership, rising GDP numbers (4.2% in the second quarter, according to the Bureau of Economic Analysis), increasing wages, improved consumer confidence, and other positive trends. 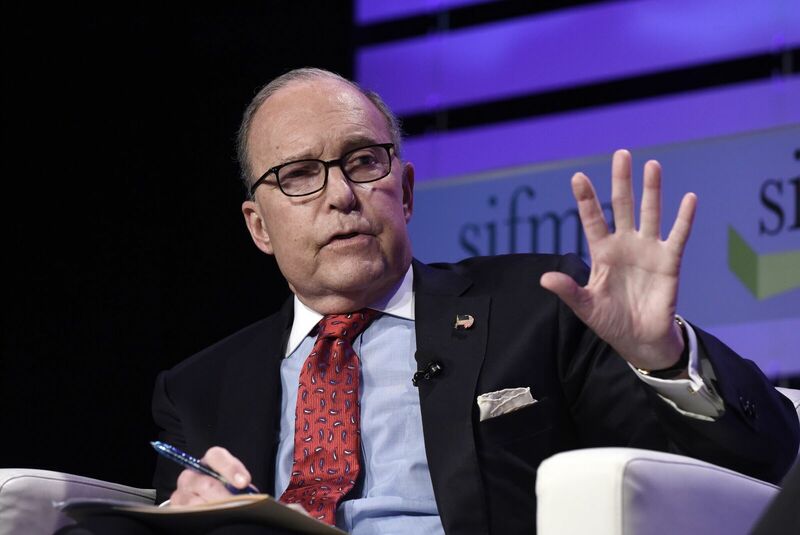 Kudlow specifically highlighted a recent small business meeting at the White House where approximately eighty percent of attendees were small business owners. “I think that’s a new trend [small business ownership]. … the President has said to them, ‘We will let you be rewarded for your success. We will not punish you,’” he explained. It’s not just a numerical change, Kudlow argues, but an atmospheric change owing to the administration’s commitment to economic reform, free and fair trade, and creating incentives that encourages businesses. 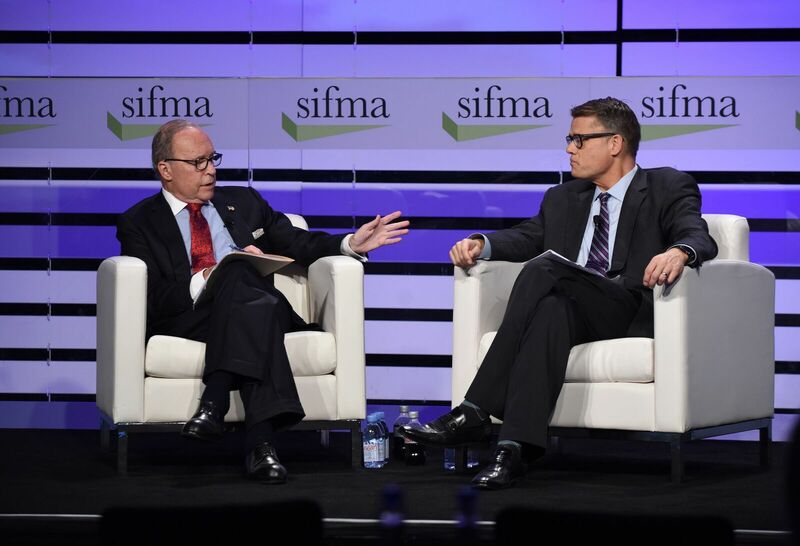 Kudlow emphasized in his remarks to SIFMA members the importance of a free and fair market that allows entrepreneurs to take risks and innovate. “We got a deal when a lot of people didn’t think we would,” said Kudlow. Canada will eliminate its “Class 7” program that allows low-priced dairy ingredients to undersell U.S. dairy products. In addition, Canada will allow new access for American dairy products. A modernized, high-standard chapter that provides strong protection and enforcement of intellectual property rights. Rules to ensure data can be transferred cross-border and minimizes limits on where data can be stored. “This was an America first deal,” Kudlow explained. He mentioned the recent agreement with Canada as an example of the benefits of continuing to negotiate, though he did mention China’s not abiding by WTO rules as a challenge moving forward. Prior to joining the White House this year, Kudlow, a nationally syndicated columnist and author on economic issues, was a CNBC contributor and hosted the prime-time show “The Kudlow Report.” Previously, he was chief economist and senior managing director of Bear Stearns & Company. He also served as associate director for economics and planning at the Office of Management and Budget under President Reagan.